Yesterday, GIMPS found the 50th Mersenne prime, now the world’s largest known prime. It is 23,249,425 digits long, so it’s really very big indeed. GIMPS, the Great Internet Mersenne Prime Search, is a sort of distributed computing project which allows ordinary people to pool together to look for really big primes. This one, , was found by Jonathan Pace, a 51 year old electrical engineer. It took about 6 days and was independently verified by 4 other people and programs. Pace was awarded $3,000 for finding the prime, though it’s worth mentioning that he’s been looking for primes for 14 years now, so I imagine his electricity costs were not inconsiderable. This post supplements a YouTube video, and largely just consists of a few technical details about the Pi Fractal and its genesis. The bulk of the story about the Pi Fractal is in the YouTube video. 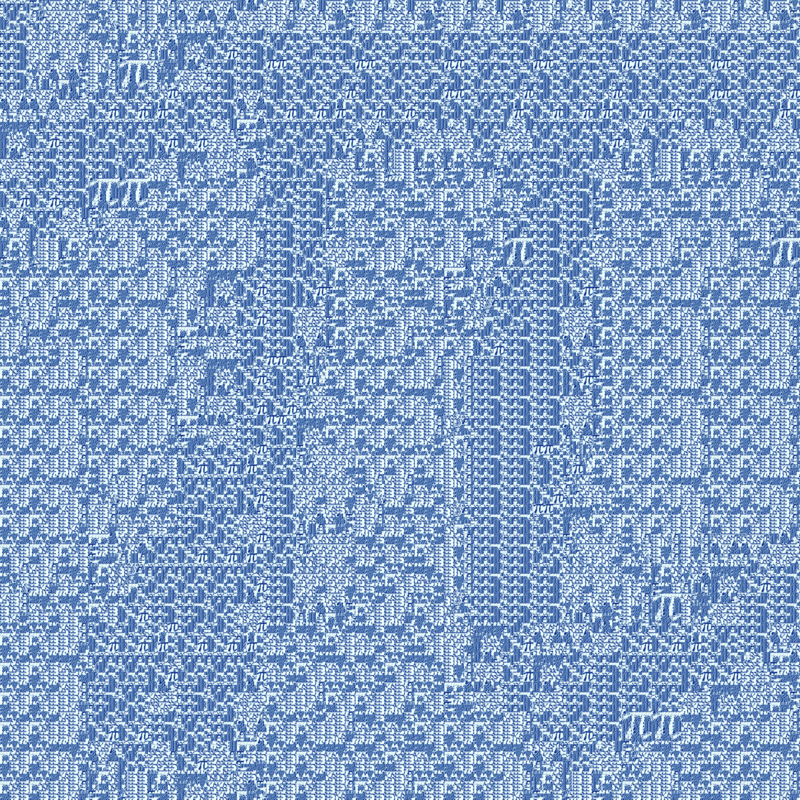 Here’s a large image of the 8th iteration of the Pi Fractal (click to expand). This number is a prime, with 2688 digits. It also looks rather a lot like Corpus Christi College, Cambridge. The top left corner encodes my initials, JRH, in ASCII. The bottom right corner is my date of birth. I was inspired by Numberphile’s most recent video, which demonstrates a prime number of 1350 digits, which looks like the coat of arms of Trinity Hall College, Cambridge. I have some nice postcards with this number on it. If you live in Cambridge and would like some, send me an email.